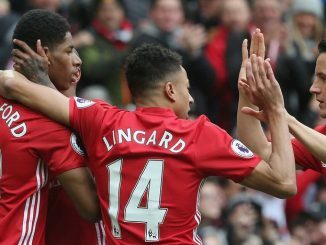 Tom Pattison from The Faithful joins us as a guest blogger this week to look at United’s current form both at home and in Europe, and asks a very pertinent question indeed; is Fergie’s persistent faith with the 4-4-2 system, despite it’s relative success in the Premier League, costing United on the European front? So the Nineties are back. Undercut sporting teens roam the streets of Britain in high tops, Tory-boys populate Westminster pretending they know how it feels to be poor, and even Manchester’s own Indie royalty are preparing to soundtrack the summer. Not to be left out, English football has well and truly got in on the act; England’s finest teams trade goals by the half dozen at home whilst hopelessly coming unstuck when encountering foreign artisans who do not subscribe to the theory that defending is for cowards. This season has felt a lot like returning to the football of my own teen years and none more so than when receiving news of Alex’s latest line-up. Not so long ago the debate would centre on formation – nowadays it is purely personnel. To the delight of many the Four Four Two has reclaimed its precious position as United’s default (and only) setting. I’m not denying it hasn’t been fun, but is this retrograde step damaging our future? Let me start by addressing the elephant in the room. Namely, is it really a 4-4-2? Like all of Ferguson great strike pairings, one forward is withdrawn. In Wayne Rooney’s case often to the extent that in these tactical savvy time 4-4-1-1 seems a more accurate representation. This however is an irrelevant argument. The unquestionable truth is that our team is divided into three defined sectors, four players are tasked with defending, four line up in front in roughly parallel positions, and two forwards finish the shape. As recently as last season, Michael Cox was lauding United’s ability to switch between midfield shapes depending on opponent, and Stretford End’s Nik Storey also pondered whether this was a sign of things to come. This season however, we have deployed 4-4-2 regardless of the importance of the fixture or the opposition. So why after all the success gained by the introduction of flexibility has the manager reverted to the default system? The 2008 European Champions were based on a fluid front 3. The star names lined up in the frontline but with the aim of one shining brighter than them all. The system was designed to maximise Ronaldo’s efficiency and relieve his of any duties which hampered his effectiveness. United were also fortunate in Scholes, Fletcher, Carrick, Anderson, and Hargreaves to boast five central midfield players who could happily comprise midfield trio. The latest squad does not possess anything comparable – at times filling two central midfield positions has been a challenge so logic was against increasing the required numbers in that area of the field. The other motivator was similar to 2008 – namely to extract the best from the best. Ferguson views Rooney as most effective as a number ten. This presents both benefits and risks. Rooney’s energy, drive and creativity can have a devastating impact when he is afforded space and given his finishing ability it is to the team’s benefit that he is in an advanced position. The risk is the ensuing vulnerability on the midfield pair behind him. In the finest tradition of English talent, Rooney lacks positional discipline – the ease with which Sergio Busquets shrugged off his attentions to initiate attacks at Wembley is a prime example. Despite the celebrated lung busting charges back to make recovery tackles in the full back positions, Rooney’s inability to stymie the opponent’s transitional phase hurts us. Far too easily an unshackled opponent is able to launch attacks which bypass our midfield and put our defence under pressure. 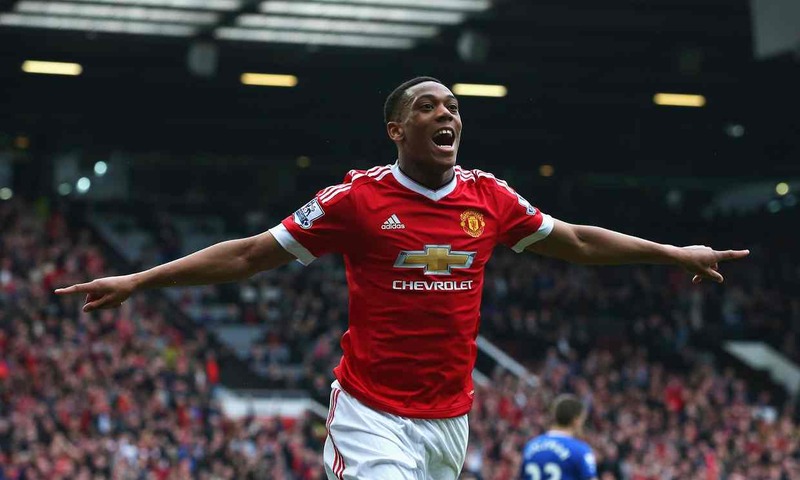 A further beneficiary of the reversion to a traditional system is Antonio Valencia. Arguably his acquisition and the manager’s warning that Ronaldo was irreplaceable signalled the intention to return to a more stoic formation. Valencia is a winger, pure and simple, who’s albeit limited repertoire has proved extremely effective since his return to form and fitness. A final factor which has been proposed as a reason for the change is the departure of Carlos Queiroz. The much maligned Mike Phelan is clearly a gifted coach yet very much a 4-4-2 man schooled in the approach of the 1990s. I would be willing to wager that were the Portuguese tactician still on staff he would be in Ferguson’s ear recommending a system more attuned to controlling the game. At its best this season it has provided the framework for some exhilarating football; runners from deep breaking through the lines to add weight to a potent attack. The late summer demolition of Arsenal was a perfect example of this system working to perfection. It was like a shot of adrenalin to see United playing with a renewed energy as youthful swagger swept aside all challengers. All seemed well – and then we had the neighbours over. New Labour had been brutally exposed and the age of austerity was here. A series of painful games ensued as a shape so rigid that Roy Hodgson could’ve been in charge. So Scrooge-like was our approach that it was common for the second forward to supplement the midfield – whether drifting wide or central. However it would be wrong to view this as a significant change of shape – the strategy may have been miserly but it was still ostensibly 4-4-2. Ferguson was determined to stick to his 90s revival – to the extent that when available personnel seemed to demand a change in approach, Alex persevered – with humiliating consequences in consecutive Christmas fixtures. The defeat in Newcastle in particular was an unambiguous demonstration of the inadequacies of the system; it looked like the retro experiment would be over but little were we to know it was just beginning; not content with reinstating a system from the previous decade the manager went a step further and restored a player from that era. The new addition was not the perennially deep lying Scholes we had seen retire but something closer to the progressive late 90s version albeit with an engine boasting considerably less horse power. The results have been remarkable; crucial goals that we thought were a distant memory coupled with the technical ability to dictate play alongside his one time apprentice. The partnership was majestic against Chelsea and Liverpool who despite boasting greater numbers obligingly provided time and space to dictate the play. Two passers; working in tandem at the heart of a four man midfield. It shouldn’t work but it has, with a caveat. Carrick and Scholes are remarkably intelligent footballers whose spatial awareness is far superior to many they face or play alongside. Their exhibition of cunning when recycling possession through sharp interpassing is a joy to watch. Yet when pressed by an energetic midfield that outnumbers them the engine starts to splutter. When Paul Lambert adjusted his side to suffocate the duo the Champions suddenly looked a starkly ordinary outfit. A tucked in Modric allowed Tottenham to do the same. Both matches had triumphant outcomes and can be rewritten as triumphs of character but the ease with which control of possession was taken away from us will be a lesson not lost on any of the teams we face over the remainder of the campaign. At Carrow Road and White Hart Lane a collection of decisive moments in attack coupled with quality defending secured six points but in both instances the midfield was worryingly toothless. Better teams and higher stakes await and it can be guaranteed that our opponents at Eastlands will boast three, international class midfielders in the central area. One option has already been auditioned. In both the Tottenham and Athletic games the manager withdrew Rooney from his favoured number ten role to become an additional central midfielder. In theory this solves the problem; our biggest threat remains on the field whilst we can still compete in the numbers game in midfield. The question remains though, in light of inconsistent performances in the role, whether this is an effective use of our talisman. A further option is a switch to 4-3-3/4-5-1 system that characterised our greatest team of recent times. The additional midfielder – either the industrious Jones or returning Cleverley – would increase our chances of controlling the middle third of the field, yet this would require a shuffling of our forward line. Rooney as spearhead flanked by Young and Nani on paper would seem the best fit yet this is to withdraw our most potent assist provider Valencia and breakthrough forward in Welbeck. To retain either would mean deploying them in unfamiliar roles that neither seem equipped for. The third option is to operate a 4-2-3-1 shape (or 4-2-1-3); it would present a more familiar role for Valencia and allow Rooney to operate in his more favoured position. However the doubts raised earlier about his effectiveness in a midfield role are similarly prescient when assessing his suitability as both a central creator and shield for the Scholes-Carrick pivot. The most likely approach of course will be to keep things retro. We might well see Valencia in full Kanchelskis mode tearing Clichy/Kolarov apart whilst Carrick and Scholes keep the neighbours at bay. Maybe Nani will hit a timely hot streak of form and deliver the performances in the run-in that have marked him out as the league’s most potent provider. That said; I worry that we have become overly predictable and reliant on moments of individual brilliance rather than a flexible strategic approach to unlock opponents. In an ideal world we’d be able to unleash Tevez, Ronaldo and Rooney and take all before us but those PIK loans don’t pay off themselves. In theory the games pre-Eastlands should present a succession of winnable games but football doesn’t work like that and they’ll be some twists and turns to come. I would though like to see us try out some alternative shapes; even if only once 4-4-2 has made the game safe. The ability to change our shape come the end of April might just be the key to keeping the neighbours quiet for another season. This though is to look only at the short term; if we are to recover our position as a force in Europe we need to reanalyse how we became such a force over the last four years. The hard truth is; it wasn’t through 4-4-2. I do not believe we can afford for our next generation of talent to be schooled in a single system. It might suit in the short term but if Welbeck, Cleverley and Jones are to fulfil their potential then it is essential they become familiar with diverse tactical approaches. Positional musical chairs has been a theme of this season – Jones in particular has been O’Shea-esque in his nominated duties – yet these changes have been almost exclusively within a 4-4-2 system. The Norwich game in particular was an opportunity missed; in Rooney’s absence it seemed logical to supplement the central midfield and nullify the likely Lambert tactic of outnumbering the duo of passers yet instead we persisted with 4-4-2 and were nearly caught out. If we cannot maintain control of a game against an impressive, but with all due respect, inferior Norwich side then what hope have we against the better sides at home and abroad? It might not be a popular view, but unless we embrace alternative approaches, loyalty to our beloved 4-4-2 might just cost us the title. I don’t mind 4-4-2 as an option; in some situations it is the single best way of winning a game. However the move away from a flexible system concerns me greatly. I don’t agree with the assumption central to this article, namely that United almost always play 4-4-2. This season United have played 4-4-2, 4-4-1-1, 4-2-3-1, 4-3-3, 3-5-2, often switching between formations several times in a game. The overriding characteristic of the tactics this season is that they have been ever changing. The other defining characteristic of our play is that we do not have enough ball winning power in the central midfield areas, so often we have to wait for the opposition to give us the ball back. In my view that is why we have struggled to control games against many teams. Agree with this more or less, however while we have used 442 for the majority of games, plenty of variations of it have been used, however the adjustments were minimal. Would like to see us play the system we used against Liverpool in the cup. a 4-2-3-1, with Carrick and Giggs in the pivot. Giggs had a sort of free role where he could roam freely and dictate the play, I’d like to see Cleverley used in this role. Carrick’s discipline and awareness is a great foil for him. I think the Carrick and Giggs duo can work against weaker sides, but we’d be frightfully exposed against whomever City play in the number 10 role (Toure and Aguero would both cause problems in their own way). For me 4-4-2 is a system of the past. All the great sides in europe play with a 5 man midfield and its almost a suicide to play with two CMs in front of them. I agree with the article in the sense that we need to go back to the system which made us such a force in europe. I’d like to see rooney play as the lone forward in a 4-5-1 or a fluid 4-3-3 system. This of course means benching the likes of welbeck and hernandez but if we adopt a fluid 4-3-3 system where there are lots of interchanching between the players i can see both of these players involved one way or the other. Welbeck / Chicharito upfront as well. Valencia on the Right wing. Giggs and Scholes can play in place of Anderson and Cleverley whenever required. @Tom great point about Rooney lacking positional discipline – it’s almost certainly what makes him so difficult to track as a forward but what makes him less trustworthy as a midfield option. Considering the results of the weekend (and all else equal come the Etihad clash) perhaps the best option for this game would be to play a midfield triangle of Carrick and Scholes with Giggs at the top, given freedom to drift when we have possession. Not only would this allow for more control in midfield, but it would also give us fluidity of movement with Giggs free and Rooney doing his thing up front. The reality is though that all else will probably not be equal come that match: our main wingers Young, Valencia and Nani will have good or bad bouts of form or injury, someone like Cleverley (or possibly Anderson) may play his way into contention for a spot in midfield (Cleverley could play the Giggs roll above), and City may have more injuries at the back that would allow us to change our plan. Whether this is called a 4-5-1, a 4-4-1-1, or a 4-4-2 is actually irrelevant, our fluid movement (Michael Cox called it our ‘Fluid Front Four’) means that our shape shifts alot throughout the game. Retaining fluidity is key to our attacking prowess, while a disciplined structure improves our defensive abilities – as we saw in the aftermath of the 6-1 defeat. We need both, but they are juxtaposed. Therefore having ‘Strategic Flexibility’ is most important: maybe all we’ll be needing at the Etihad is a draw, or if C*ty drop points against Arsenal or Chelsea perhaps we’ll have 4 points on them. For me though, the best thing about right now is the very fact that we currently have a lot of options; there were periods in the season where we were ravaged by injury. Fewer options implies less Strategic Flexibility and therefore more predictability for opponents. 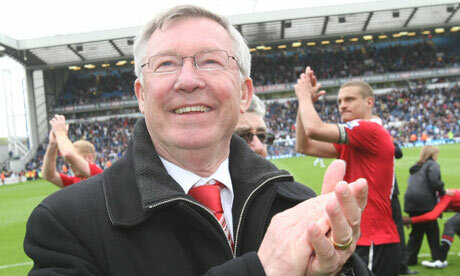 We all know how much SAF likes to change the team almost every week, and that’s definitely one of our strengths. Perhaps the return Europa League game against a pressing side like Bilbao will give SAF an opportunity to tinker with the formation, considering his recent comments about our shape in European home games. I’m betting on a 5-man-midfield there. My sentiments exactly – the loss of Owen Hargreaves AND now DarrenFletcherinho (in his football genius mode) hasn’t been quite-devastating but it’s patently obvious that this kind of player is sorely needed. 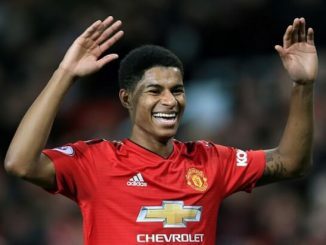 Inadvertently, it seems, SAF came up with the “solution” in young MrJones but the defensive injuries (which never seem to end or go away) have meant that he has been shuttled back-and-forth, mostly proving that he’s a long way from being a UTD-class defender but he has huge potential as a box-to-box midfielder. I think most of the points people are making are valid. Our strength is our fluidity as well as our flexibility, both game to game and within games. The fluid front four thing is how I see it, but this has to be balanced with a more static foundation further back. Our defence is usually reliable, and whilst the fluid front four isn’t as fluid as say 4 years ago it is actually more fluid than last year. The problem area then for me is the central midfield two. We don’t have the right balance in that area. 4-4-2, 4-2-3-1, 4-3-3 or 4-5-1 you have to control the space in the middle of the park, both when you have the ball and when you don’t. Our problems in Europe this year stem from this. Domestically you can often get away with it, but not in Europe.